The debut full length from Pete Rock & CL Smooth – and a bonafide hip hop classic if there ever was one – one of the best ever! Pete Rock's trademark mix of heavy soul, jazz & funk beatcraft pretty much set the bar to a level that's been impossible to top ever sense. 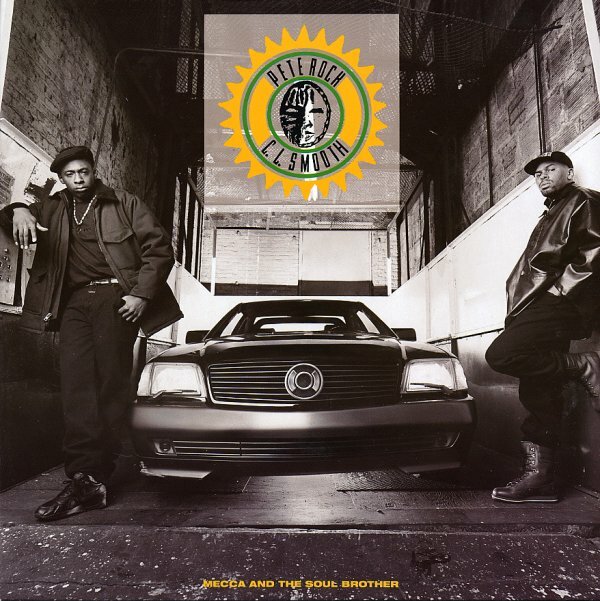 On top of being a front-to-back perfect album, Mecca & The Soul Brother has one of the great singles of the era, in "They Reminisce Over You (TROY)". What more can be said, really? An absolute essential! Tracks include "They Reminisce Over You (TROY)", "Return Of The Mecca", "Straighten It Out", "Soul Brother #1", "Lots Of Lovin", "Skinz" featuring Grand Puba, "The Basement" featuring Heavy D, Robo-O, Grap & Dida, "Anger In The Nation", "If It Ain't Rough, It Ain't Right", "Can't Front On Me", "It's Like That", "On And On", "Wig Out", "Ghettos Of The Mind", and "Act Like You Know". © 1996-2019, Dusty Groove, Inc.